Students who built a huge tree-house in Norfolk have started taking it down after councillors ruled in broke planning regulations. It took 30 people two years to build the structure at Brandon Parva between Dereham and Norwich. It stands on land owned by the mother of one of the group, was made out of recycled timber and cost £35 to build. They have until the end of the month to remove it after the order from South Norfolk Council. Initially a planning officer suggested it could stay but councillors on the main planning committee voted against it being kept, saying it detracted from the beauty of the tree. 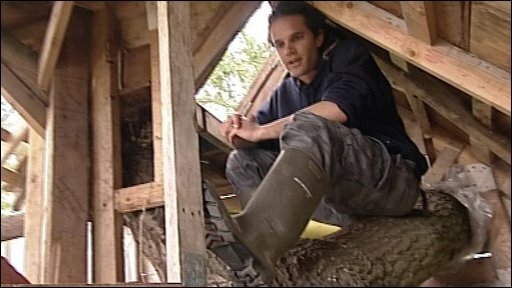 Adam Jackson, one of the four students who started the tree-house in 2005, said: "It seems strange they thought that, as it is completely carbon neutral, built without electricity. "We even planted more trees on my mother's land where the tree house is."